If you love magic, mystery and a little mayhem get the first three novels in the wildly popular Sister Witches Mystery Series in one volume! 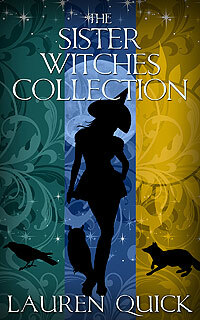 Vivi, Honora, and Clover are the Mayhem sisters, and thanks to an old family curse, trouble is never far away. Brimming with magic, mayhem, and a trio of cunning sister witches, The Sister Witches Mysteries are paranormal novels that will keep you guessing until the very end.